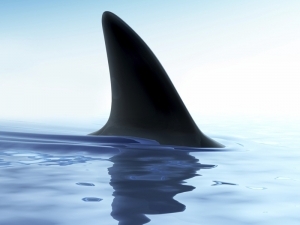 A 33-YEAR-OLD man has been killed by a shark while diving off a WA beach this morning. It’s believed the victim is Busselton man Peter Kurmann, the husband of local councillor Debra Kurmann. The pair have two young children. He was taken while diving with brother from a small open boat called Vampire, about 1.6km off Stratham Beach, between Bunbury and Busselton, shortly before 9.30am today. A WA Police spokeswoman said his body was being taken to Port Geographe Marina, near Busselton. Beaches in the area have been closed following the attack. The shark was believed to be 4 metres long, but the species is unknown. A police spokeswoman said the man’s brother was not harmed. It’s believed the man’s mauled body was recovered from the water by his brother. Experts from the Department of Fisheries have launched an investigation, which will include an examination of bite marks on the man’s body to determine what species of shark was involved in the attack. Today’s attack is the fourth fatal shark attack off the WA coast since September last year. A Fisheries WA spokesman said an aerial patrol would be launched shortly to determine if the shark was still in the area. A Department of Transport vessel, sent from Bunbury, is currently searching the waters. Stratham Beach has been closed and police are in attendance. The victim has not been named by police. Today, Premier Colin Barnett said he was concerned that there had been four fatal shark in attacks in WA during the past seven months. He said he was being briefed and no shoot to kill order had been issued. He did not believe that would be likely because such an order would only be issued if the shark was posing an ongoing threat to people. While the Premier said he did not support culling, he said there was a need to review the restrictions placed on fishermen catching sharks. He urged West Australians to swim at supervised beaches. Monday, 10 October 2011: Bryn Martin was likely taken by great white shark after he was last seen about 350m from the shore as he headed out to sea on his daily swim in front of the Indiana tea house. Sunday, 4 September 2011: Kyle James Burden is killed while bodyboarding with friends at Bunker Bay, near Dunsborough. Tuesday, 17 August 2010: Nick Edwards died after a shark attacked him while he was surfing near Gracetown. Saturday, 27 December 2008: Fisherman Brian Guest is taken by a great white while snorkelling at Port Kennedy. Saturday, 19 March 2005: Geoffrey Brazier is attacked by a 6m shark, believed to be a great white, as he snorkelled near the Abrolhos Islands, off Geraldton. Saturday, 10 July 2004: Brad Smith attacked by a great white as he surfed near Gracetown. Monday 6 November 2000: Swimmer Ken Crew is killed by a great white off Cottesloe. Monday 20 January 1997: Windsurfer Werner Schonhofer is likely killed by a tiger shark in Geraldton. Monday 11 September 1995: Abalone diver David Weir killed near Hopetoun in the South-West. Sunday 21 November, 1993: Pearl diver Richard Bisley killed by a tiger shark off Roebuck Bay, Broome.